Policy Brief: Farmer-led irrigation development and investment strategies for food security, growth and employment in Africa. Farmer-led irrigation development and investment strategies for food security, growth and employment in Africa. Improving agricultural productivity and diversity is a key factor in achieving food security, economic growth and rural employment in Africa. The question of irrigation development lies at the heart of strategies to raise both productivity and diversity in farming. Over the past decade this question has sharpened in the wake of the 2007-8 increase in prices in international food commodity markets, prompting African governments to set out ambitious new policies for irrigation development, often seeking large-scale commercial investment. At the same time, development agencies have re-engaged with irrigation after a hiatus of more than a decade. 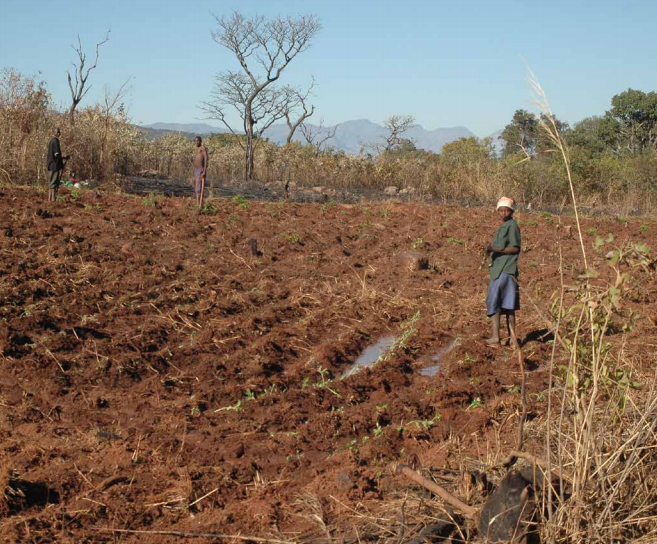 This has re-opened policy debates about how best to develop irrigation in Africa, and a re-assessment of the ‘potential’ for irrigation development and the reasons why past investment was often unproductive. However, these debates have been parallelled by growing evidence of an expansion of unofficial irrigation, mainly by small-scale producers using a variety of technologies. Although systematic data are scarce, the aggregate area of this ‘farmerled’ irrigation development appears to exceed that of public and corporate irrigation schemes. This suggests official statistics may underestimate by a factor of more than two the total amount of irrigation in sub-Saharan Africa. 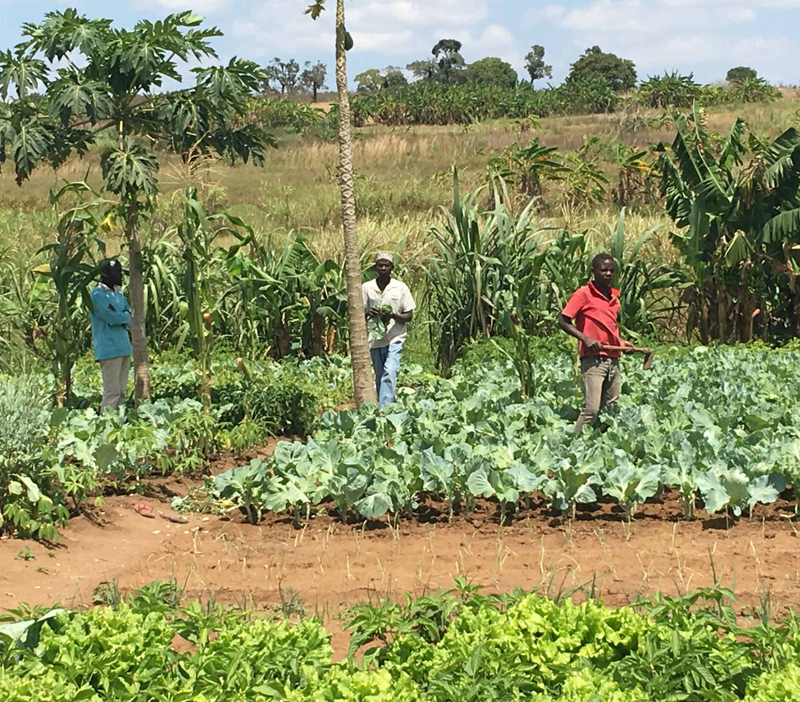 Does this farmer-led irrigation development (FLID) represent a comparatively cost-effective means to achieve a rapid and broad-based expansion of more productive agriculture, enabling Africa to achieve food security and economic growth? This note summarises the findings of a workshop1 in February 2018 that brought together irrigation researchers and policy makers to discuss the magnitude, and evaluate the opportunities and risks, of farmer-led irrigation development in sub-Saharan Africa. 1. FLID is a process in which small-scale farmers drive the establishment, improvement and/or expansion of irrigated agriculture, often in interaction with external actors. 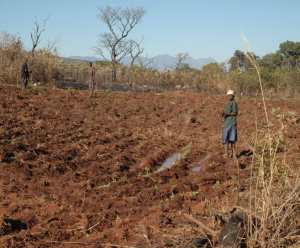 It has many variants, including systems of canals (‘hill furrows’) built by farmers to distribute water from streams, for example in central Mozambique and on the slopes of Mt. 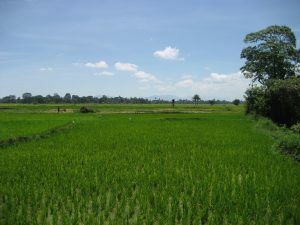 Kilimanjaro, Tanzania; widespread use of motorised pumps to irrigate from rivers, lakes or groundwater; as well as supplemental irrigation of paddy rice using improved water control in wetlands and valley bottoms (e.g. dambos, machongos, bas-fonds, , etc.). FLID typically involves entrepreneurial investments of money and labour by farmers acting as individuals or in groups, but often seeking to leverage investment from government or other development agencies and sometimes using technology copied from neighbouring irrigation schemes. 2. FLID cuts across existing irrigation typologies defined on basis of scale, technologies, crops or governance arrangements. It is predominantly operated in small-scale units of between 0.5 and 5ha, but these may aggregate to areas of hundreds or even thousands of hectares in any given region. It may combine management of surface and groundwater that blurs traditional boundaries between ‘irrigation’ and ‘rainfed’ agriculture. It often focuses on production of high-value horticultural crops, but also supports the production of staple cereals, notably rice. It embraces a range of organisational forms, from state-registered irrigation associations to informal collaborations lasting for only a growing season. 3. FLID is extensive and increasing, yet still largely unreported in official statistics. Recent estimates of irrigation frequently show irrigated areas that are multiples of those stated in official statistics – a discrepancy consistent with a rapid increase in FLID. 4. FLID is strongly oriented towards producing crops for the market, and almost 40% of irrigators adopt more intensive production using fertilisers and improved seeds, while only 10% of non-irrigators do so. 5. Public agencies’ responses to FLID vary from one context to another. Some may seek to support and expand FLID, while others may seek to regulate or restrict it. The diversity of political, economic and environmental contexts generates different rationales for interventions by government or non-government agencies. Recent surveys of farmer-led irrigation in Eastern and Southern Africa show irrigators suffer fewer months of food insecurity and have better housing and higher indices of asset ownership than non-irrigators. That these benefits flow from irrigation is supported by the finding that an overwhelming majority (84%) of irrigators consider that irrigated crops deliver about half, or more than half, of their income. FLID thus offers benefits in terms of increased income and economic growth. Where projects have supported FLID, these benefits of irrigation appear achievable at much lower public investment costs (USD2-4000/ha) than those associated with large-scale irrigation (USD10-20,000/ha). This is partly because FLID is often associated with partial water control and smaller-scale infrastructure development than state and donor-supported investments. But, where farmers themselves are investing labour, capital and land in irrigation, the cost of FLID to African government budgets is further reduced, and possibly eliminated. In this way, FLID may offer a strategy by which governments may invest less but smarter to achieve their agricultural productivity and food security goals. FLID manifests farmers’ own knowledge of the local variability of land and water resources, thus potentially making it more responsive and adaptable to environmental change. Increasing irrigation may raise competition for water, not just among irrigators but between irrigation and other sectors, such as hydropower and municipal water supply. FLID thus poses challenges of both monitoring and regulation to government agencies responsible for planning land and water resource management. Rural economies in sub-Saharan Africa need to create employment and diversify agriculture. Irrigators tend to have more land and are more likely to hire labour than nonirrigators. Thus, while the agricultural intensification that FLID promotes will raise irrigators’ incomes and generate new employment, it also presents risks of accelerating social inequality, for instance across generations and gender. With regard to the latter, only 16% of irrigating households were female-headed compared to 26% of non-irrigating households, and further questions arise over gender differences in household labour in irrigated fields and ownership of irrigated crops. Increased fertiliser and pesticide use among irrigators raises downstream pollution risks, particularly where technical advice on input use may be lacking. Additional health risks may arise from use of non-treated wastewater to irrigate vegetables in urban and peri-urban areas. There is a risk that centralised irrigation planning authorities may respond to FLID in ways that over-regulate farmers’ irrigation activities and reduce their dynamic and entrepreneurial character. In this regard, FLID poses particular challenges to legislative and regulatory bodies. identifying and removing systemic constraints to FLID, such as transport infrastructure, taxation of key inputs and electricity supply. encouraging opportunities for farmer-to-farmer learning. identifying the status and support needs of FLID. exploring investment and technical strategies for intensification vs expansion of irrigation. Giordano, M., C. De Fraiture, E. Weight, and J. van der Bliek. (2012). “Water for wealth and food security: supporting farmer-driven investments in agricultural water management.” Synthesis report of the AgWater Solutions Project. IWMI. IWMI (2016) “Irrigated Africa and Asia. New map is more detailed than ever.” International Water Management Institute. National Irrigation Commission (2016) “New Directions for Irrigation Development in Tanzania : The Context of Public Private Partnership” Proceedings of a Workshop in Dar- esSalaam, September 2016. Woodhouse, P., Gert Jan Veldwisch, Jean-Philippe Venot, Dan Brockington, Hans Komakech & Ângela Manjichi (2016): ”African farmer-led irrigation development: reframing agricultural policy and investment?” The Journal of Peasant Studies.